The Eagle Landing project site is located along Stevens Road, east of the I-205 freeway and north of Sunnyside Road. The entire site is within the City of Happy Valley. In total, the site covers approximately 34 acres of land. Part of the land is vacant, while some is currently occupied by a church and an apartment community. The mixed-use area is part of the larger Eagle Landing lifestyle community, which covers 128 acres. Eagle Landing currently includes a public park, a golf course and several residential developments, all located to the east and northeast of the mixed-use area. to the west and southwest, together serving as a regional retail center with around 250 retailers. To the north of these retail centers are a number of large-scale apartment communities. Areas to the north and northeast of Eagle Landing are primarily built out with residential uses, dominated by high-end single-family housing. Areas to the south are occupied by retail, office, and medical uses, including a large medical center operated by Kaiser Permanente. Approximately 50,000 vehicles enter and exit the I-205 freeway at the Sunnyside interchange on a regular day, according to ODOT (2014). A MAX light-rail line runs on the west side of the freeway, with a station just across from the subject site (in the future accessible via a pedestrian bridge). The line provides service to Gateway Transit Center and Downtown Portland. The immediate surroundings convey an upscale and peaceful atmosphere with large green spaces, well-manicured landscaping, attractive street scape improvements, high-quality residential projects and virtually no vacant land. The area surrounding Eagle Landing is a major employment source to the Portland Metro region, employing approximately 24,000 workers (2014). Service jobs within the retail, restaurant, and hospitality sectors make up the largest component, employing approximately 8,000 workers. Healthcare is also a large industry, employing more than 6,000 workers, primarily at the Kaiser Sunnyside campus. ​White-collar professionals are also well represented totaling 3,400 jobs within finance, information and professional/business services. Eagle Landing is also within an easy commute of many smaller employment concentrations with industrial clusters to the south and west in Clackamas and Milwaukie, and other concentrations in the Gateway area, Gresham, Airport Way, and Providence/Hollywood. 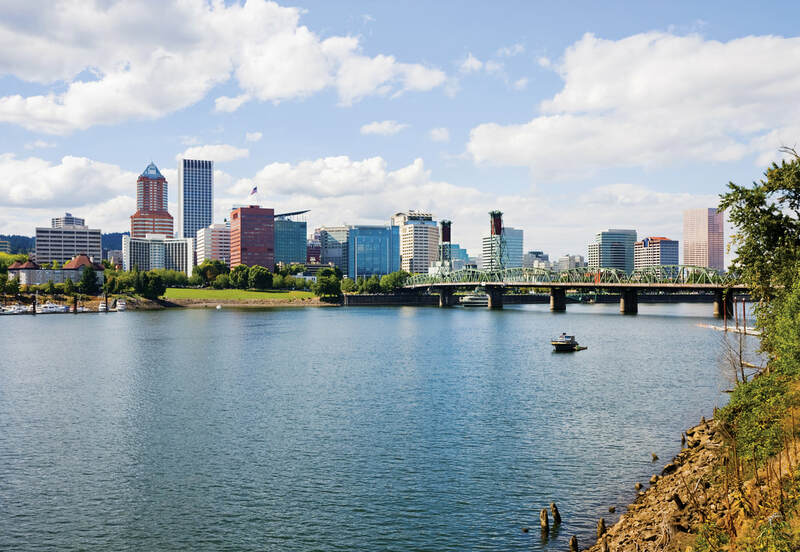 Eagle Landing is approximately 20 minutes from Downtown Portland and only 15 minutes from the Portland International Airport and the state of Washington. The proximity to the Washington state border has contributed to making Clackamas Town Center an attractive shopping destination for Washington residents seeking to avoid sales tax. Residents in Happy Valley are all within a ten-minute drive of Eagle Landing. A MAX ride from Clackamas Town Center takes 17 minutes to the Gateway Transit Center and 30 minutes to the Lloyd Center with an additional 10 minutes to continue to Pioneer Square in Downtown Portland.